The Latest with David Jay: Long but GOOD days! I went to bed at 5 and was up at 8:30 this morning for a rocking day. I even *tried* to play soccer but I was worthless. It's been nuts - we had 514 orders and over 450 of them were signups for the tour so that is CRAZY! A bunch of cities already have 50+ people registered so I thought I was excited before but I'm even more amped now! I also wanted to thank some of your for posting this on your blogs! I saw that Mike Steelman posted on his blog and Lynn-Kai Chao made a nice post too. ...and Claudia Hung posted too and this is so awesome and we're super thankful for you guys helping get the word out and hopefully you'll be able to bring a friend who can benefit as well. 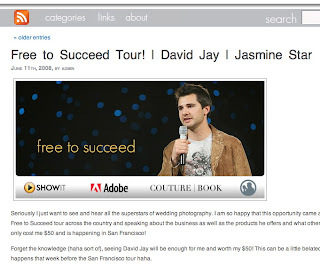 WOW, DJ, congrats on this, I am really impressed by Jasmine's new show it site. Love the video and I think this tour is going to be a good thing for the industry. See you around! Dude, awesome! Congrats! You're gonna rock it. See you when you hit L.A.! Friends and I are looking into Kansas City! We'll try to make it work! Also, you never updated us all about your tour bus? Did you get that one? Or did you find something else? 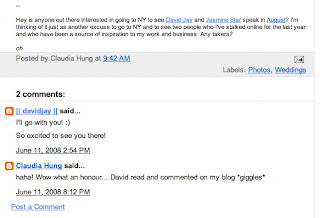 Hey David, thanks for stopping by my blog! I just wanted to let you know that I just bought my ticket for Free to Succeed, I also included a little invite in the notes. Let me know if you are interested. 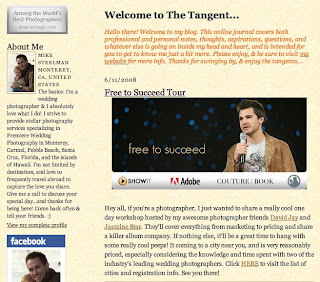 thanks DJ for always visiting my site and linking! i feel so honored!!!x100000!!!! Please tell me what time and where the Free to Succeed presentation will take place in Phoenix on Aug. 3rd. I have requested this info everywhere I can think of, to no avail. I must drive 3+ hours each way, so I need to be able to arrange my schedule in order to attend. I don't want to miss this!! !